It started small, in September 1997. Really small. And cuddly. That’s when we brought our black lab Nikki home. She was tiny and poopy so we called her Stinky. Her name was Nikki, but like most furbabies she ended up with a multitude of nicknames. Thank goodness she outgrew her Stinky stage rather quickly. Nikki soon became the center of our existence, as babies do. Her poop was a big topic of conversation (what did we talk about before?). And she grew, as puppies do. And nearly a year later, it was time for a vacation. And no dogs were allowed. I had no idea what to do or who to call. All I knew was that I needed someone who would love her as much as I had come to in the last year. I had heard about professional pet sitting from a friend, and our dog trainer confirmed it was a great alternative to boarding. So we signed up and had a sitter stay with our Nikki. The following year Nikki was joined by Solstice (forever known as Little Man), and of course Sam the Amazon was here to keep it all entertaining. The more enmeshed I became in the pet world, the more I realized there was a real need for reliable pet care. I began pet sitting for friends on a regular basis. One called me the Pet Elf, and the name stuck. 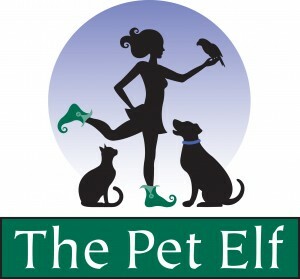 I began doing research and turned to Pet Sitters International for guidance. This educational association had everything I needed to know about turning pro. As a card carrying member with my bond and insurance in place, I began my journey as a professional pet sitter. So much has changed since those first few years. Records moved from binders and notebooks to our secure server, and staff was hired to help meet your needs. And Nikki and Sol are gone. What remains is the dedication and compassion I have for pet care. I started because of them. And I continue because of them. We SO appreciate you, Karen, and the rest of your staff. SO wish a lot of other service companies and businesses we deal with were as considerate, efficient, and just plain nice as you all are! It’s been a frustrating week in dealing with an on-line pet prescription company, so it has been a nice breather working with all of you! Thank you! I REALLY appreciate his help…my stress level about my commute and work hours has gone way down, knowing that [my dog] is being taken care of! You have a real gem in Jennifer. They were well fed, well cared for, very happy and relaxed when we got home last night. She was communicative during our time away and obviously cared very much for the pups. We truly appreciated her attentiveness.